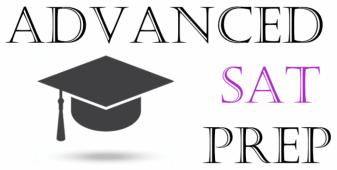 Advanced SAT Prep is a company started by Ms. Beth Dungey and Mr. Glen Smith from Long Reach High School. We have each spent a third of our lives working at Long Reach, and we are deeply invested in its success and growth. Using our combined understanding of students, curriculum, the SAT, Math, and English, we have created an SAT Prep Course that will help students gain a better understanding of the SAT and, more importantly, learn how to answer more SAT questions correctly to increase their score. We will also help students with an in-depth review of the Math and English concepts required to destroy the SAT. This class is sponsored by the LRHS PTSA and a portion of all proceeds will be donated to the association. The cost of the class is $200. The course is designed to help you prepare for the three weeks leading up to your test date. We will be running 3 week classes for each of the October, November, December, March, May, and June administrations of the SAT. Literature covering every topic of the SAT along with tips and tricks to tackle tough questions. Overall, 12 Hours of In-Class Instruction covering test taking strategies, time saving tips, and all pertinent content. We offer reduced rates for students who would like instruction in only one section of the test (Math or English). © 2015 Advanced SAT PREP All rights reserved.